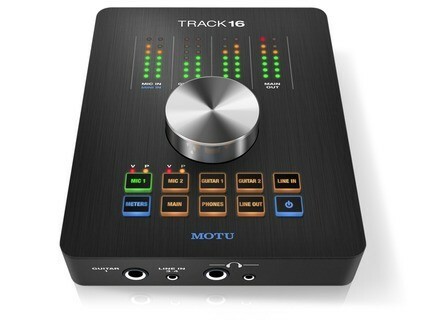 The MOTU Track 16 is a 16 in and 14 out USB/Firewire interface. It is very compact, sleek and stylish. It works with just about any DAW and has latency free processors. I had to install the drivers for this interface a few times though on my Mac for some reason. I am not sure why it took so many times because after installing it didn’t recognize the interface at all. Even after the second time I tried to restart and see if it recognized it then and it didn’t. It ended up working fine after I did an uninstall and did everything all over again. 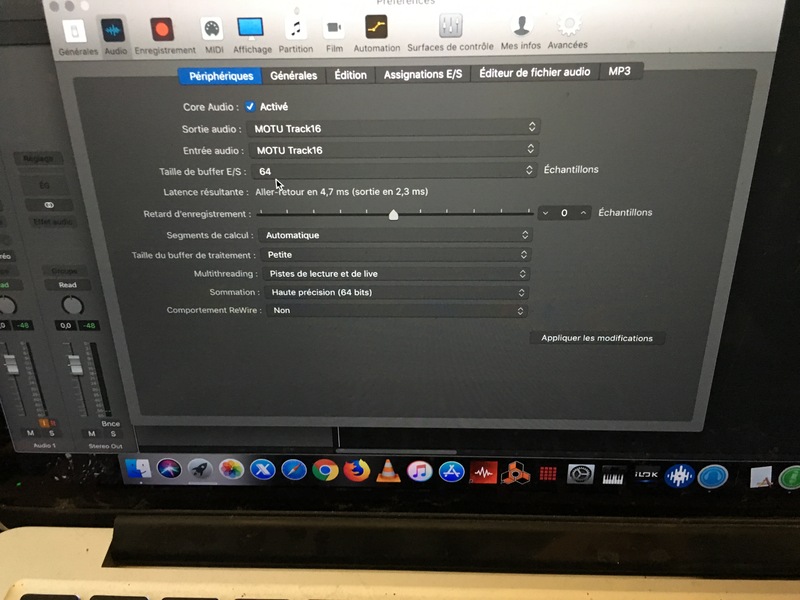 I have run this with Pro Tools 10 and it works great, I have not tired it with many other software’s or DAW programs yet but so far so good. The microphone preamps sound pretty good for the price but I have heard a lot better out of other similar interfaces. The design of this interface is the main selling point of it though because it looks amazing. It doesn’t even look like an interface when sitting on my desk. Controlling this interface is simple because the main part of it takes care of all of the levels you may want to adjust. This interface can work on a Mac and PC in both platforms running 32 or 64 bit. My Mac is running a 64 bit system and it works fine after the few install attempts which I am still unsure why it didn’t work the first time. 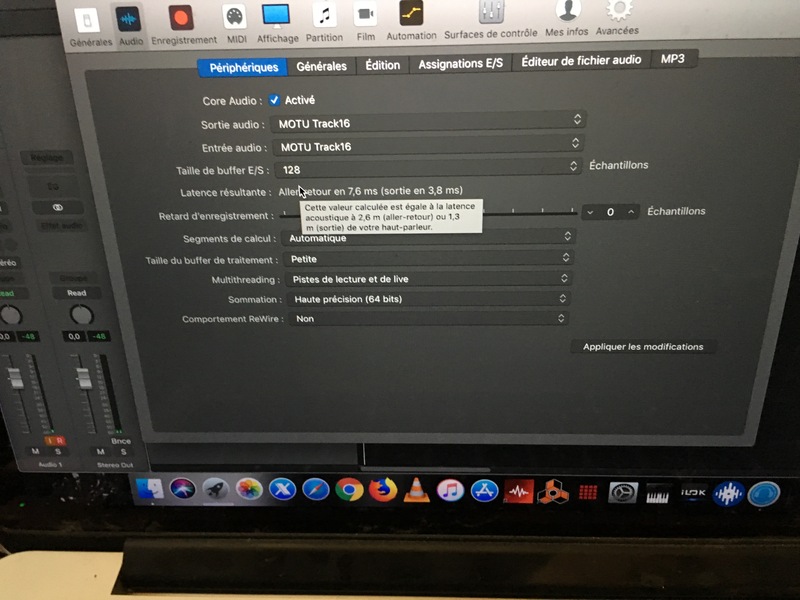 There are also MIDI connections (IN and OUT) and phantom power. This interface is affordable and has a great design but it seems very delicate. It seems like it is made out of glass and if it drops it would need to be replaced. With no warranty on it available is a major concern for me down the road. sw80's review"16in and 14 out"
The MOTU Track16 is a 16in and 14 out USB interface, and you can also use FireWire if you want. It will support full HD audio and each mic preamp has its own phantom power that you can switch on if you are using a condenser microphone. There are a few different controls on the top that will allow you to control input and output levels very easy. 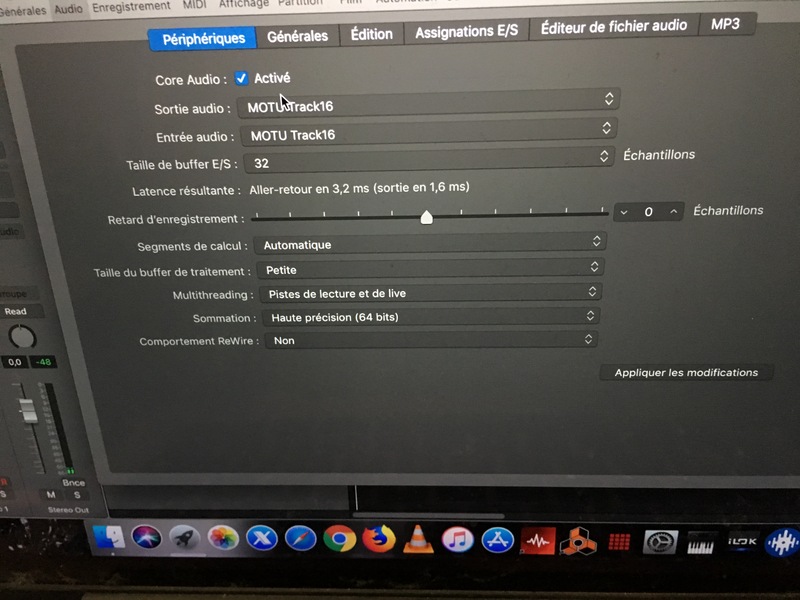 You can use the MOTU Track 16 on Mac and PC devices with either 32 or 64 bit systems. This interface is well built and looks very nice sitting on your desktop. It is not rack able and its really not as small as it looks in a picture. Its actually pretty big in you have it in your hands. Which is a downside to me because you cannot rack it, and its kind of big so where are you suppose to put it if you have limited desk space? It is way to expensive to set it on the floor hoping it doesn’t get stepped on. Installing this device was not difficult. It did take more than one install though for me because after I installed it the first time my Mac Book still was not reading it. It was like it never installed. So I installed it again and restarted my system and then it worked fine. The MOTU Track 16 is very quiet and makes not hissing noises at all. I guess the major problem with this interface for me is that it cost over 500.00 dollars and it can not be racked, but it is a pretty big interface and takes up a lot of the desk space that I have out of (what little of it is left). It sounds great and it is a perfect fit for Pro Tools. All of the drivers for it have held up great and never had any problems after the first initial issue. I recommend this interface if you need that many ins and outs. But if you don’t need an interface with that many, and want to save some money then don’t get this interface. 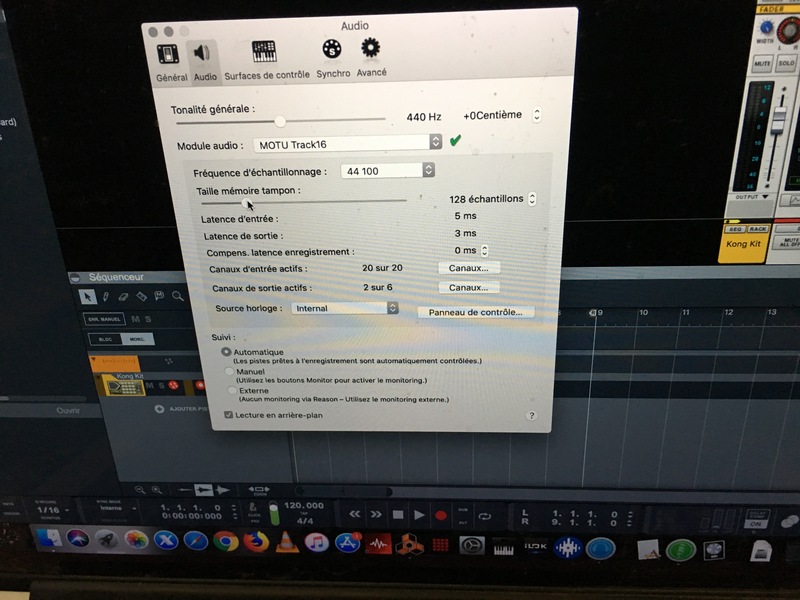 Anonymous 's review (This content has been automatically translated from French)" I expected better"
Some crunches, forced to widen quite buffers to be stable but it remains correct even if I knew more stable sound cards much cheaper. The installation is done in 10 seconds without any problems. Having already worked with the 828 MK3 grip CueMix is ​​immediate. When we see this case is expected to have an ingot in his hands, but it is super light and a little cheap, the beaming him is huge, the base is well thought out, the switch can have all the levels in hand but no numerical value can be a disadvantage, when the quality of conversions and pre-amp is true to Motu. More my product had a defect and sizzled from the box that alter the sound recording microphone. I tested a few days before returning it, and I will not repeat that choice. azzo's review (This content has been automatically translated from French)" Motu 20/20!" What is your config (Motherboard / CPU / RAM / Disk, ...)? How many tracks do you manage to record / play simultaneously? Pleasantly surprised by the size and especially the finish that is perfect! The sound is more than Motu appointment! ... A little scared for my 828 for Track 16, but no! the quality is there! 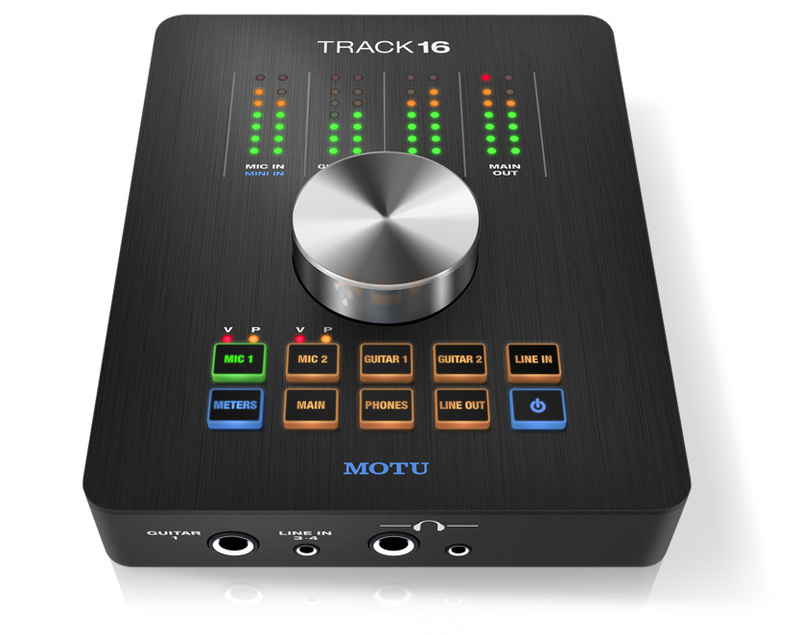 MOTU introduced their new desktop audio interface, Track16.